You are here: Home » MEDIA » Illustration » Alan Lee signing in New Zealand. Alan Lee signing in New Zealand. If you are in Wellington New Zealand on Sunday 9th September 2012, you might want to head down to the Weta Cave to meet Alan Lee, one of the World’s best fantasy illustrators. 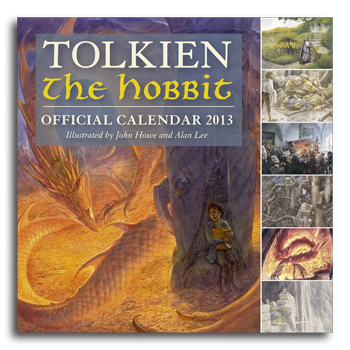 Alan will be in the Weta Cave signing copies of the 2013 Hobbit Calendar as well as other titles he has illustrated during his career. Together with John Howe, Alan Lee has defined the look of Middle-earth, including of course, as the lead designers on The Lord of the Rings movie trilogy. A dragon and hobbit a month? You spoil us, Alan. The calendar marks the first time Alan Lee and John Howe have combined their talent on the official Tolkien calendar since it began publishing 40 years ago. The calendar features 14 paintings, including some created exclusively for the calendar. « Black holes. Bloody millions of them!